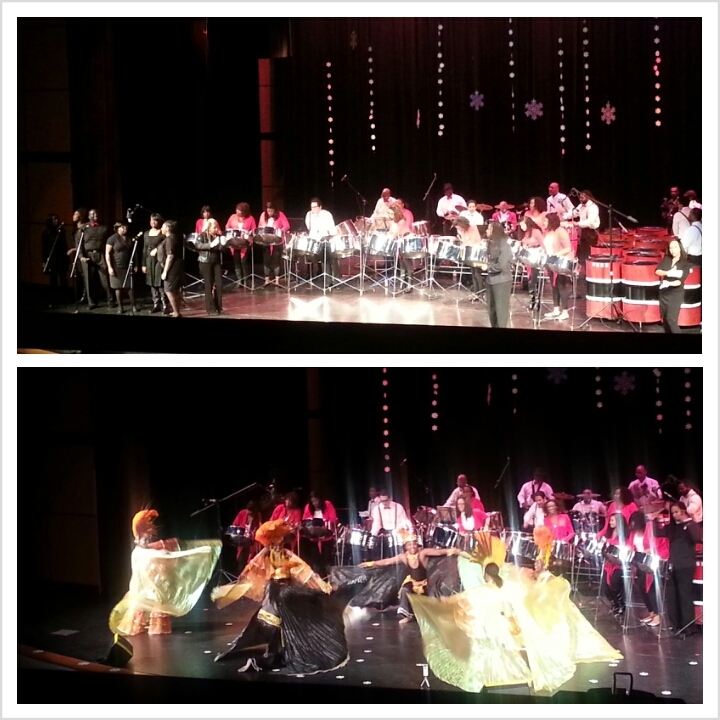 Put on by the PAN Arts Network, the 16th annual Snowflakes on Steel show presented 4 steelbands. Each was alotted the right amount of time to showcase their talent but I have to admit I wouldn’t have minded if the show went all night! The evening was off to a lovely and paced start with Gemini Pan Groove – a seniors’ band – who drew us in with lovely rendition of “The End of the Word” by Skeeter Davis plus a few other songs. They were followed by Silhouettes who started off their feet tapping selections with a rendition of Stevie Wonder’s “Sir Duke”. It was so great! The evening also included a “Woman in Pan Award” presentation and before you knew it, it was time for intermission where a bit of chaos ensued. There simply wasn’t enough room allowed for this break to run smoothly given the amount of people in attendance. This may have been the doing of the venue’s generosity (or lack thereof) of the amount of space the event coordinators could use, but the lines were long and maneuvering was a challenge. Because of that, my friend and I decided we didn’t need a beverage. If this will be hosted at the Chinese Cultural Centre again, here’s to hoping they could spread out some more. The second part of the show would definitely be the highlight. Pan Fantasy started their selections with Michael Jackson’s “I can’t help it”, but blew us away with a medley of Austin “Superblue” Lyons’ greatest hits from his soca monarch reign. Mind = blown. 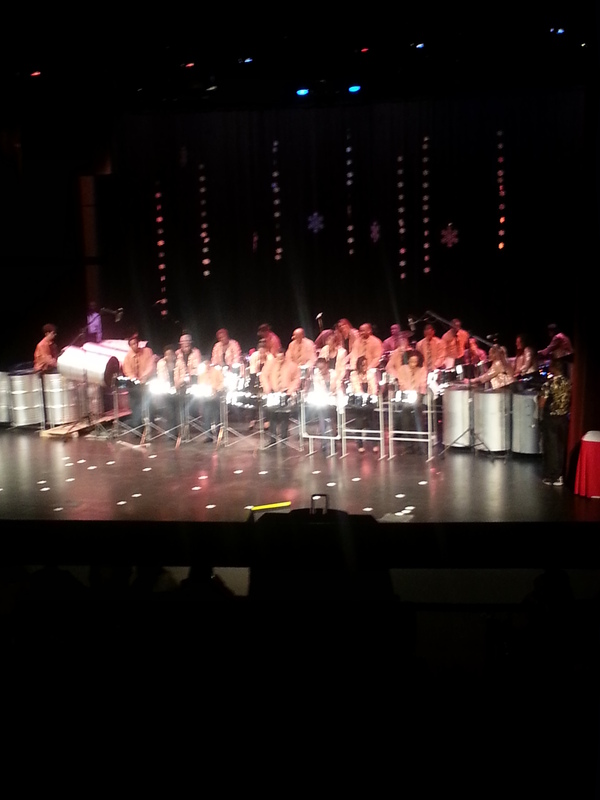 Not only was the medley amazing but watching how much fun they had playing it made me wish I knew how to play. The women on the bass had to have been the best part because you could tell they truly loved the instrument and the music (all the dancing gave that away). 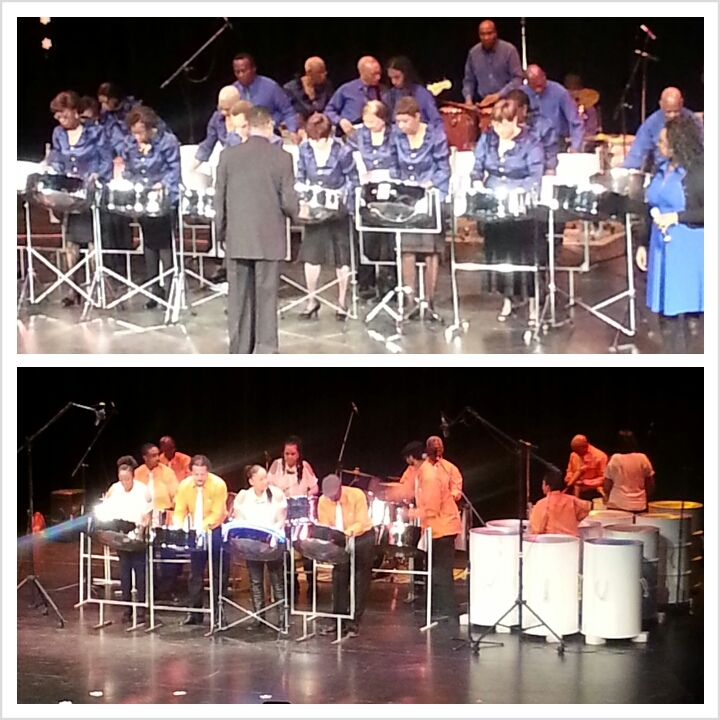 Another award was presented – “Pan Pioneer Award” – and then it was time for Afropan to perform. Celebrating their 40th anniversary, their performance was nothing short of amazing. From Kirk Franklin’s “Reason why I sing” where they were joined by a choir to Mozart’s “Symphony #25 in G” which was splendidly conducted and then onto “Bohemian Rhapsody” I was beyond enjoying myself. They finished off their selections with a new 2013 soca song called “Live yuh Life” by KES featuring David Rudder and were joined on stage (but not before they worked their way through the audience) by dancers from Dance Caribe group. Once that was done, I realized the show was coming to an end and I left knowing I wouldn’t be missing the next one. My overall experience can not be put into words. 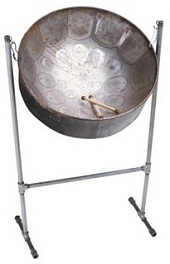 Though I can not play the instrument (that will change! ), I was proud to see an integral part of my culture being portrayed, appreciated and most importantly supported. Music is an important part of life, but moreso is people coming together to celebrate music. All in all, stellar job by each and every person involved in making the night a success and an amazing first-time experience for myself and my friend.